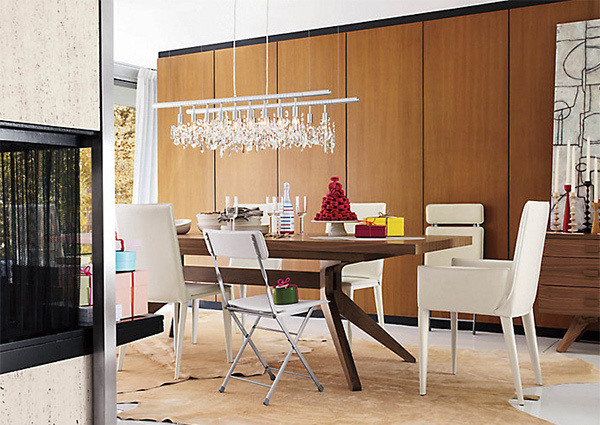 Dining in your own home gives a different level of comfort than dining in commercial establishments. This is because of the familiar homey ambiance in the house and also the delicious home cooked meals that were made from the heart. Dining is also one way of uniting family and friends where you can talk about your daily experiences or where you can have time to bond. So, if you have a big family or you have guests most of the time, then get a large dining room table. 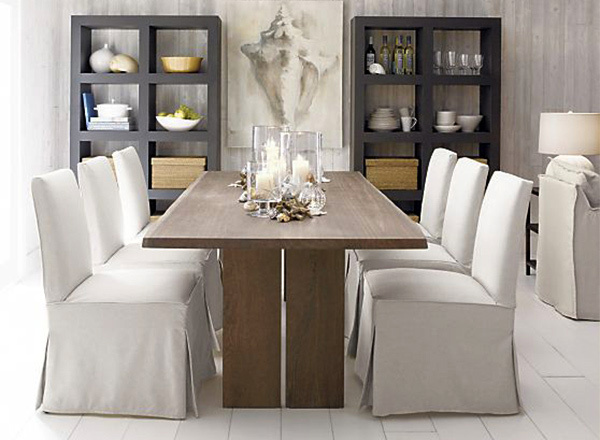 Solid wood dining table in gorgeous tones to complete your dining room set up. This piece is assembled by hand with its detailed exposed dovetail joinery. 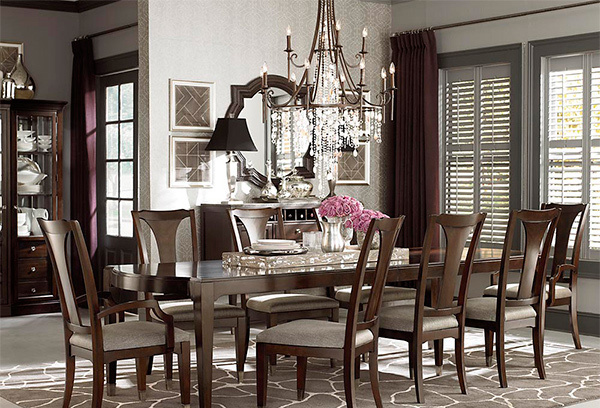 Natural wood tones create a dramatic ambiance for this dining room. 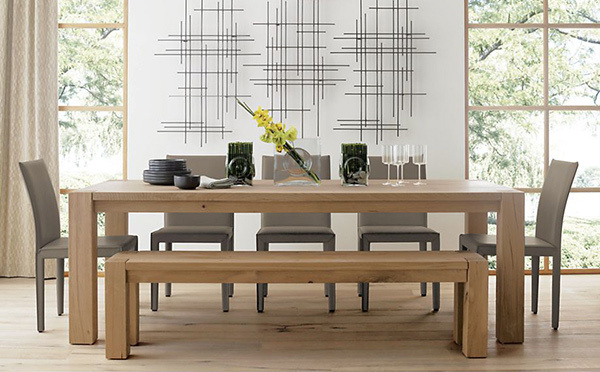 The Dakota dining table features two clean-cut wood planks for the base. Get a totally sophisticated room with this dining table crafted from Asian hardwoods and cherry veneers finished in rich deep brown. 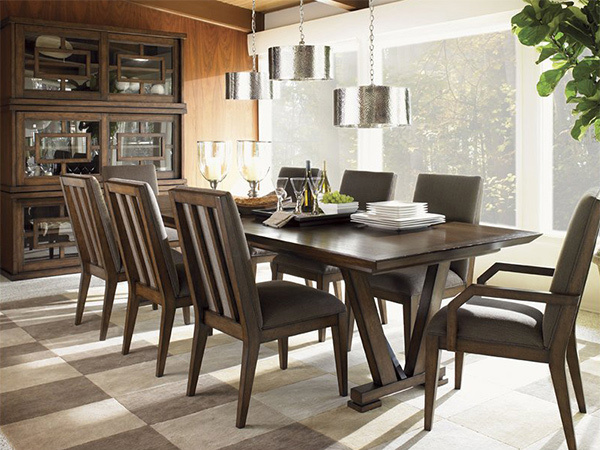 Maple veneers and select hardwood solids comprise this beautiful dining table that can be a perfect central figure in the dining area. This wooden table sure is long! It can let 15 people dine together. A big, bold and natural table that fits to be called with its name. 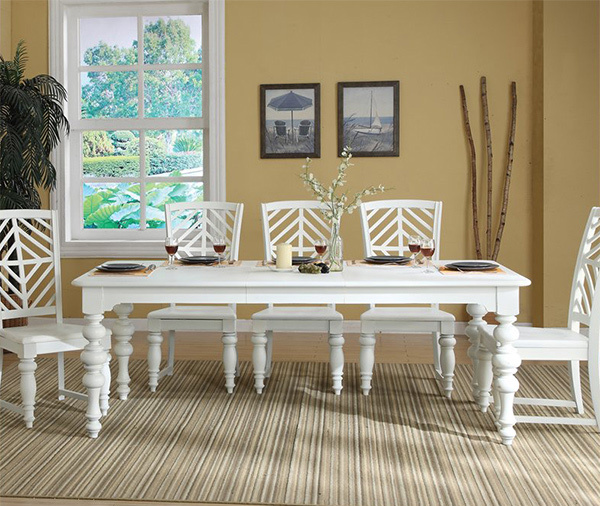 You can give your dining room a rustic beauty with this solid European white oak table. Umber cherry finish on cherry veneers and poplar solids were used for this dining table that is reminiscent of Louis Philippe style moldings. A table that can be extended to occupy six to eight people. 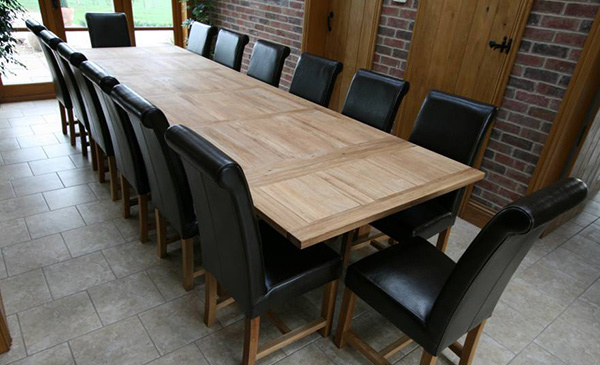 This dining table has a tabletop crafted in quarter sawn oak veneer stained with a rich black over engineered wood. An eclectic dining area that is comprised of beautiful seats and a big oval table. A cool and contemporary dining table that can allow 10 persons to dine on it. It has a smooth surface and is highly versatile. The look it creates with its glossy finish can be appropriate for a minimalist, modern or contemporary setting. 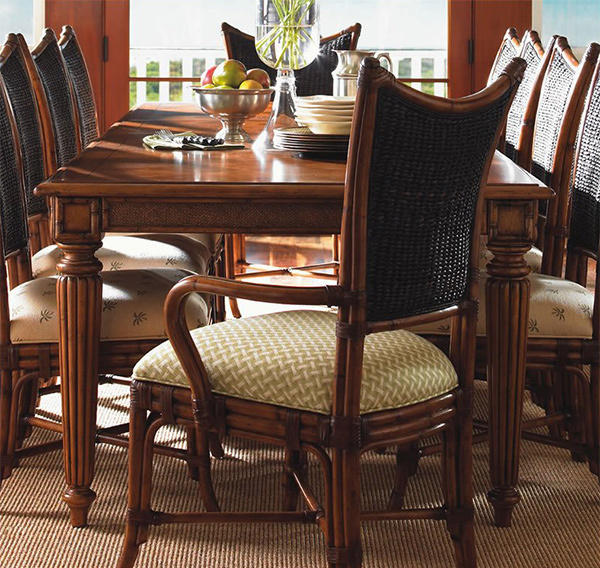 Bring in royalty with a large table in tamarind finish and decorative moldings for its legs. This table is perfect for a classic dining but can also look good in different interiors depending on the chairs you pair with it. Be captivated with this beautiful dining table that has a great deal of details in its legs. It even turned out more gorgeous with the use of white as its finish. A contemporary table finished in dark wenge veneer having loop style legs could certainly add style to your dining area. Well, you can only see two seats here but this table is actually large enough for 10 persons. What makes this table unique is its triangular design for the leg part. It balances wood and graphite metal struts that give support to additional leaves for this extended table to allow more seaters. Matthew Hilton sure did well in designing this piece which has legs that are seemingly crossed in designed. It makes use of clean lines for simple appearance. 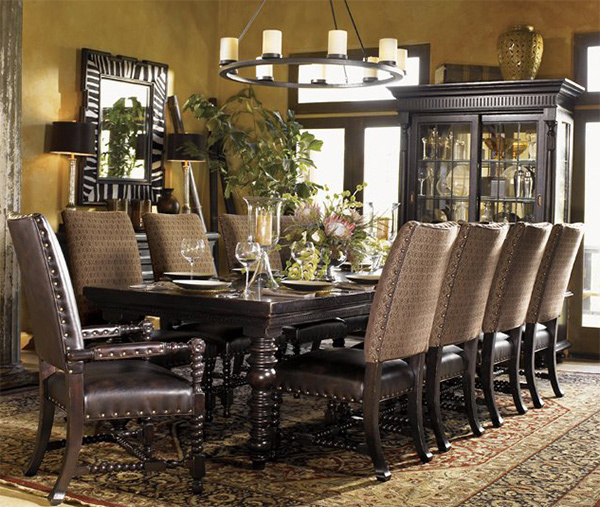 Large dining room tables are great if there are many family members who regularly dine in the house. But if you are also fond of hosting parties, you can get a large dining table. It would be better if you choose those that can be extended when needed so that you can keep it small if you do not have guests. 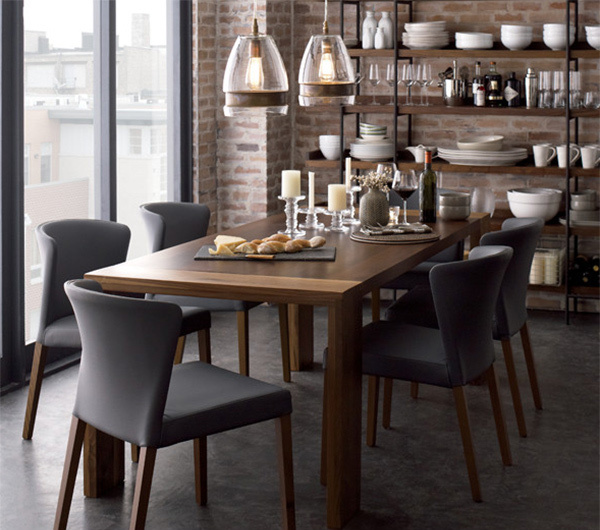 You can check out these Sophisticated Modern Dining Room Sets if you are looking for a complete set of dining furniture for inspiration.